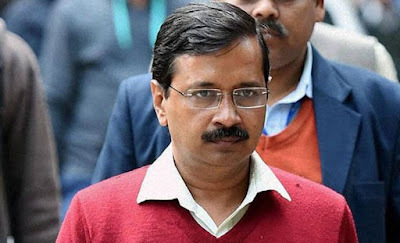 While Delhi CM Arvind Kejriwal has made a lot of noise over the issue of PM Narendra Modi’s degree, he has now himself landed in trouble after a website claimed that he got admission into IIT- Kharagpur through fake quota and not on merit. A website named ‘thelotpot.com’ has made big revelations regarding Delhi Chief Minister and AAP chief’s IIT-Kharagpur background. As a proof, the website also posted a copy of an RTI reply on Kejriwal’s admission into IIT-K which showed that there is no record of the AAP chief’s rank card while the same is available for most of the students. In support of its claim, the website further quoted a report by ‘Hindustan Times’, which talked about an illegal discretionary admission quota held secretly and illegally by the IIT-K for children of its staff and teachers for over four decades – admitting dozens of students to seats which the institution failed to secure through IIT- Joint Entrance Examination. The students whose score cards are missing are those who got admitted through this illegal quota as preserving their score cards will expose the IIT- authorities for this grave illegal work, the website claimed.